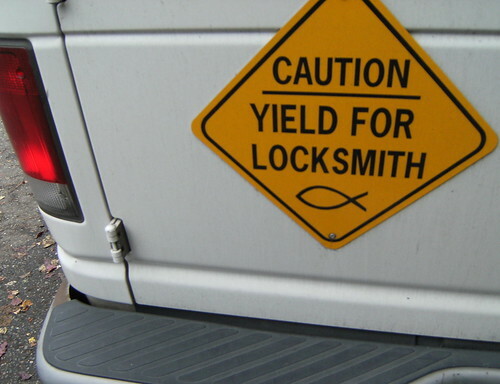 Call a locksmith in the US and their yield – and your loss – might be higher than you expect. Photo by zoomar on Flickr. Did you sign up to receive each day’s Start Up post by email? Then you’re reading this on email. You clicked a confirmation link to say it wasn’t spam. Well done. A selection of 11 links for you. Made of unobtanium and polished with unicorn tears. I’m charlesarthur on Twitter. Observations and links welcome. The company’s latest acquisition in the area is Flyby Media, an augmented reality start-up that lets mobile devices “see” the world around them. Flyby’s team worked closely with Google in developing software for its 3D positioning technology Project Tango. Apple has been building prototypes of possible headset configurations for several months. Apple joins a growing focus in Silicon Valley on VR and AR as companies from Facebook and Google to Microsoft and Samsung eye the next big technology platform. The news comes after the Financial Times reported that Apple had hired Doug Bowman, a leading VR researcher. Tim Cook, chief executive, declared earlier this week that the technology had broad appeal. “It is really cool and has some interesting applications,” Mr Cook said on Tuesday, as Apple reported iPhone sales growth had slowed to a halt. Bradshaw has had scoop after scoop since moving to San Francisco. That rules out both the blends-among-trees idea and the breaks-up-outline one — neither can possibly be true if the predators can’t see the stripes. “If the stripes are doing something exciting, they’ll be doing it close up, by which point the predators have probably realized the zebra is there, because they can smell or hear it,” says Caro. Zebras, being very noisy browsers, are hardly stealthy. “It’s the first proper test of a very longstanding and prominent idea,” says Martin Stevens from the University of Exeter, who studies camouflage. Its only flaw is that the team didn’t specifically measure how closely a zebra matches its background environment, in either color or brightness. Still, “I very much doubt zebra stripes do work in concealment,” adds Stevens. So, if not camouflage, then what? Caro, who has been studying zebras for a decade and has written a forthcoming book about their stripes, thinks he knows the answer. “I’ve come to the conclusion that really, it just has to be biting flies,” he says. You what now? But yes, it is. Japan-based PC brand vendors Vaio (sold from Sony), Toshiba and Fujitsu reportedly are ready to merge their notebook businesses into a company, a move which will affect Taiwan-based notebook ODMs, particularly Pegatron Technology, according to sources from the upstream supply chain. Pegatron received over 50% of Toshiba’s notebook orders in 2015 and has also led other rivals to win over 50% of the vendor’s request for the quotation (RFQ) for notebook orders for 2016, the source indicated. However, Pegatron has recently been notified by Toshiba to halt production of 300,000 units of mainstream models which are scheduled to be shipped soon, indicating that the merger talks between the three Japan-based companies are likely to be finalized shortly, said the sources. Pegatron declined to comment on its orders. Consolidation among smaller players. Inevitable, given the market. But which brand will they merge under? Soon after Samsung’s announcement of an API for content blocking], ad blocker makers launched versions of their apps for supported Samsung phones. This includes Crystal and Adblock Fast, which were among the first out of the gate. The latter claims over 200,000 users for its app that’s also live on Chrome, Opera and Safari. It offers seven optimized filtering rules which make websites run, on average, 51 percent faster, the company says. Crystal offers a similar filter list, and blocks tracking technology, malware and social networking annoyances, while also offering users the ability to support sites that conform to the Acceptable Ads criteria by allowing non-intrusive advertising. Expect more to follow. The question now will be whether or not Samsung owners will rush to install these applications, as the iOS audience once did. Even if they don’t show up in droves, the move by Samsung, which had a 22.2% share of the smartphone market in 2015, could see other Android smartphone makers doing the same, as the tech could be seen as a competitive advantage. Only for Samsung Galaxy devices running Android 4.0 and above, but that’s still a lot. Samsung is clearly responding to Apple; how long before adblocking is natively included in mobile browsers, and how long before it’s enabled by default? Prompted by [Russell] Holly’s revelation that life on Android was better without Facebook’s app, Reddit user pbrandes_eth tested the app’s impact on the performance of an LG G4. Because the Facebook app uses every trick it can to find out what you’re doing, all the time. I deleted the main app on iOS ages ago (and might do the same for Messenger) and only access it through the mobile site, on a browser. This has two advantages: your battery life improves by many, many hours, and if you use an adblocker, the ads will be blocked. The motor was discovered inside the frame of the machine being used by teenager Femke Van den Driessche at the world cyclo-cross championship in Zolder, Belgium, Bryan Cookson, the president of the International Cycling Union (UCI), said. “It’s absolutely clear that there was technological fraud. There was a concealed motor. I don’t think there are any secrets about that,” Cookson told a news conference. Van den Driessche said the bike looked identical to her own but belonged to her friend and that a team mechanic had given it her by mistake before the race. The bike was later seized after she had withdrawn from the race on Saturday with a mechanical problem. I would like to know (1) how the motor worked (2) if her story is true, why the friend’s identical-looking bike had a hidden motor. Total shipments for 2015 were 206.8m, down -10.1% from 230.1m in the prior year. Despite the market’s negative trajectory overall, shipments for detachable tablets reached an all-time high of 8.1m devices. This is getting confusing, though. The “detachables” are ranked with the “slates” for sales purposes but treated as different in categorisation. We are trying to demonstrate to the Hull Daily Mail Local publication (owned by parent company Local World )what it is like to read their news website(s) online. buyers sometimes find BuzzFeed is more interested in what pops on platforms than what moves the needle for brands. “We send a brief to BuzzFeed and what comes back is content that is no longer consistent with the brief,” said one ad buyer who requested anonymity because they do work with BuzzFeed. Ian Schafer, CEO of digital agency Deep Focus, said clients have cooled on BuzzFeed’s content creation abilities, pointing to instances where clients used BuzzFeed for distribution but had the content created elsewhere. In the future, based on comments from Googlers to colleagues and outsiders, hardware makers will be much more like order-takers, similar to the way contract manufacturers like Hon Hai (Foxconn) follow Apple’s directions for producing the iPhone. Mr. Pichai also has said future Nexus phones may have only Google’s brand on them. Google may be better off working directly with contract manufacturers rather than phone brands themselves under the new arrangement. But Google likely doesn’t yet have enough hardware expertise to go that route for phones the way Apple does. Several of the phone brands might not participate in the program rather than capitulate to Google in such a way. One company that has been in talks with Google for a Nexus phone this year is HTC, says one person briefed on the matter. The person added that given the new arrangement Google has been aiming for, participation has been a controversial topic inside of HTC. After all, HTC was once was a contract manufacturer of phones that turned itself into the first major consumer brand for Android phones. It produced the first ever Android phone in 2008 and the first ever Nexus phone with Google in 2010. But for a variety of reasons, HTC’s consumer brand fell as quickly as it rose and the company is now a shell of its former self, though it still makes high-quality phones and is pushing into virtual reality and wearable devices. Google has been comfortable with HTC’s engineering chops, and because of its experience producing devices, it might make sense as a partner for Google’s Nexus ambitions in the near term. While HTC is proud of its consumer brand, the company is likely desperate for more revenue and unit-sales volume. It’s possible there are financial or other considerations in its agreement with Google that make it more palatable. Spokespeople for Google and HTC did not comment. What if… Google bought HTC? It could pick it up for loose change and have a sub-scale phone manufacturer and VR device maker which it could get to do just what it wants, aiming at the high end. This entry was posted in links and tagged adblocking, apple, buzzfeed, cycling, evolution, facebook, google, htc, locksmith, pc, samsung, tablet, virtualreality, zebra by charlesarthur. Bookmark the permalink.